The Big Blue Marble, our Earth, celebrated its 6017th birth day on 23rd October 2013!!! Unfortunately no cake was big enough for it. We have to prepare a birthday cake to the size of moon! Archbishop of Armagh James Ussher, concluded in 1654 that the Earth had been created on October 23, 4004 BC, making the Earth today 6017 years old! Christians believed that Adam (first man) had been crafted from dust on Day 6. White skinned European Christian scholars who strongly believed in these absurd calculations made big blunders in estimating the date of Hindu scriptures. They underestimated everything Hindu. Voracious readers would have noticed that these white skinned Indologists never criticized anything that is Christian, Muslim or Jew (All Semitic religions). While followers of other religions were standing in the street corners and singing the glory of Our Lord, Hindu children were reciting Vishnu Sahasra Nama stotra/hymn (Part of Mahabharata), which praised Vishnu who sustains the universe for 10,000 million yugas. 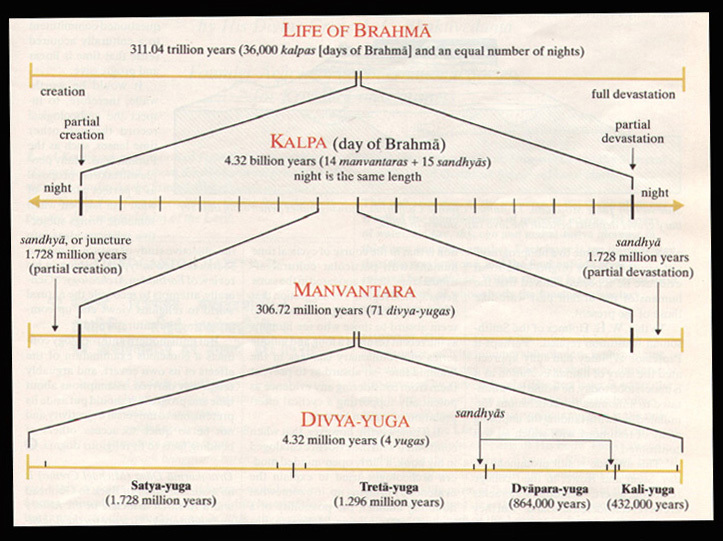 The interesting thing about Yuga is that a Chathur yuga is 4,32,000 years. So this line –SAHASRA KOTI YUGADHARINE NAMA: from Vishnu Sahasra Nama Hymn—means 10,000 million X 4,32,000 years. All these numbers are just symbolic. Because Hindus believe that God is beyond time (Kalathrayaatheetha:). Vishnu Sahasranama says God is Bhootha BHavya Bhavath Prabhu:–meaning ‘He is the master of three phases of time—the past, the present and the future’. Hindus knowledge in mathematics is amazing. Their knowledge about TIME is more amazing (I have already written about it in my two part article Hindus’ Future Predictions and Time Travel by Two Tamil Saints). 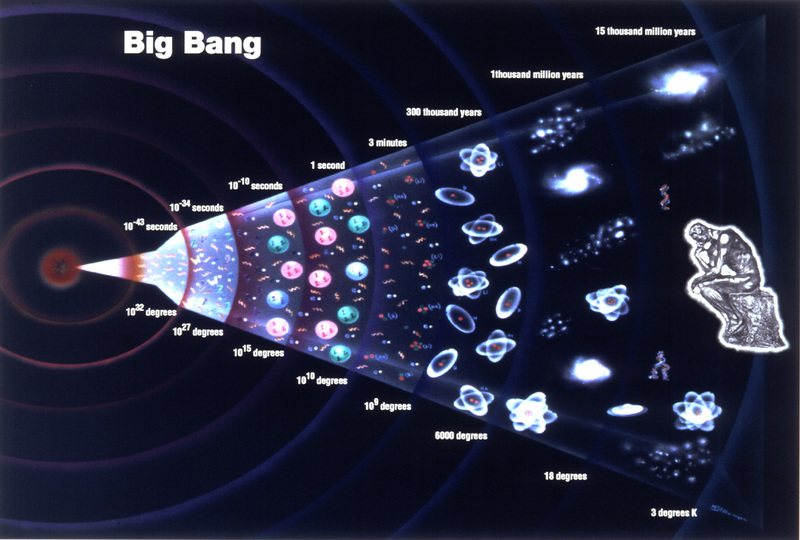 Hindu calculation of Manvantara approximately coincides with the time of Big Bang which happened 14 billion years ago. Now we are living in the 14th manvantara which is repeated by all the Hindus on Puja days (in the Sankalpa). Brahmins say that “we do the ritual on such and such day in the 14th manvanatara i.e.Vaivasvata Manvantare”. We come across Sanskrit words Sahasra (1000) and Koti (ten million) in Tamil and Sanskrit literature innumerable times. Famous Tamil poet Tiruvalluvar in his Tirukkural used ‘koti/crore’, seventy crores (couplet 639)and crores after crores in many couplets. The crores after crores phrase (Adukkiya Koti) may mean a bigger number! Even before the astronomers wrote in science books that there are millions of galaxies and millions of suns, Hindu children were singing a Ganapati sloka/hymn with the words ‘Surya Koti samaprabha’ meaning brightness equal to 10 million suns. Viveka Cudamani of Adi Shankara has a sloka that says human birth is rare and liberation is attained except through the well earned merits of a hundred crores of births (1000 million births). Hindus recite these numbers in their day to day hymns. Unless the general public is familiar with the decimal system and mathematics in general, poets like Vyasa, Shankara and Tiruvalluvar would not have used these BIG numbers in their hymns. Decimal system was the biggest contribution of Hindus to the humanity. If any one takes a highlighter and underlines the decimal numbers such as 100, 1000, 100,000 in the oldest religious book Rig Veda, one will find out the whole book is highlighted,almost every page. Without decimal system mankind would not have made any progress in the field of sciences. Even the curse in the Story of Vikramaditya and Vetal, we see the decimal system- ‘your head will blow in to 100 pieces’. Before the Hindu numerals reached Europe through the Arabs, they were using Roman numerals. We can see these numerals on all old buildings in Europe. It caused great difficulties and chaos. Nowadays even European children can’t read these Roman numbers. They can only understand Hindu numerals (1,2,3,4,5,6 etc). If one reads an article about BLACK HOLES in a science magazine and then read the Viswa Rupa Darsana (Chapter 11 of Bhagavad Gita), a better understanding of TIME( as Hindus see) would emerge. Roman Year 1606 in Roman letters. Please note that different calculation for Yugas is followed by some people.